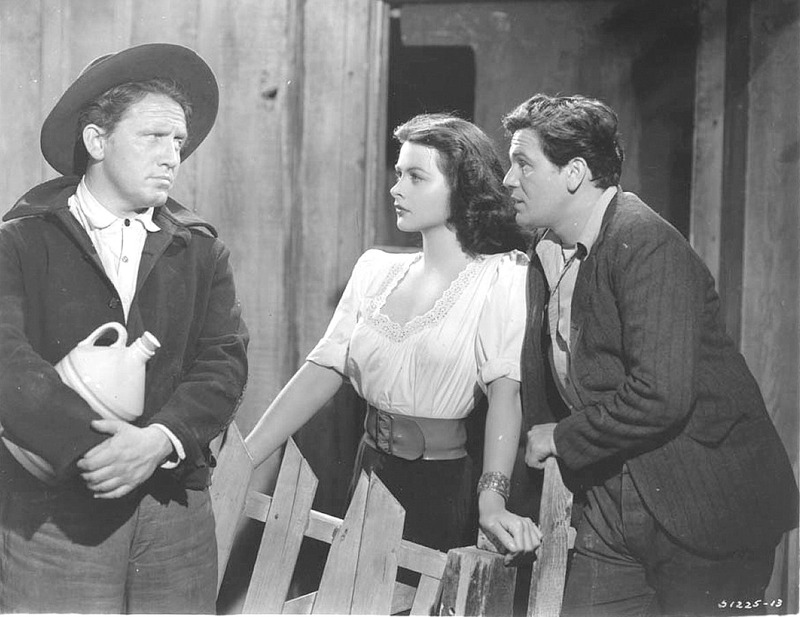 Still from the film version of Steinbeck’s “Tortilla Flat”, directed by Victor Fleming, 1942. On April 2, 2014, Dan Albert’s Paella/La paella de Daniel Albert was screened in Mexico City, as part of the eighth annual “Contra el silencio, todas las voces” Film Festival. “Nuestros paisanos de Monterey,” our second “column” for the on-line magazine Puente Atlántico is now available here. From the February 2014 bulletin of the “Friends of the Monterey Public Library”, we learn that our work in Monterey, California has helped spark renewed interest in the Spanish heritage of that part of California. The Library and the Friends of the Library are hosting a follow up to Dan Albert’s Paella event, “informally bringing together Monterey’s Spanish descendants with Library staff and volunteers to capture and preserve their family stories and memories. A second project will celebrate Monterey’s Chinese descendants through an evening at a local hotel modeled after the Dan Albert Paella event.” We are delighted to have contributed our grain of sand (or rice) to such an exciting development. 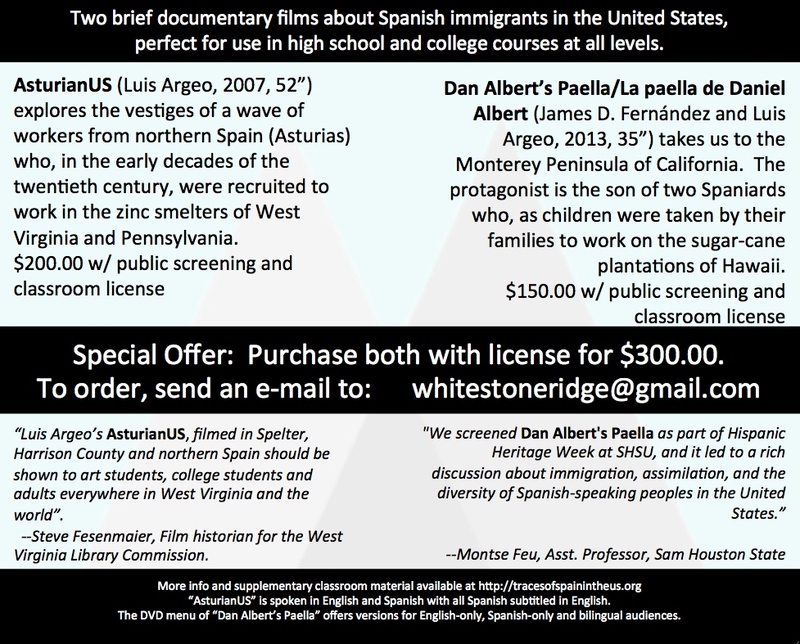 Several colleges and universities have purchased DVDs of Dan Albert’s Paella for classroom use, among them: Boston University; Clemson; Oberlin; Ohio State; Princeton; Rollins; U Illinois Urbana-Champaign; UMass, Boston; Sam Houston State; Williams. Our ad, promoting institutional purchases of the DVD is in the current issue of Hispania, the quarterly publication of the American Association of Teachers of Spanish and Portuguese. High schools and colleges can purchase the DVD at a higher price, but with a license for public exhibition and classroom rights.